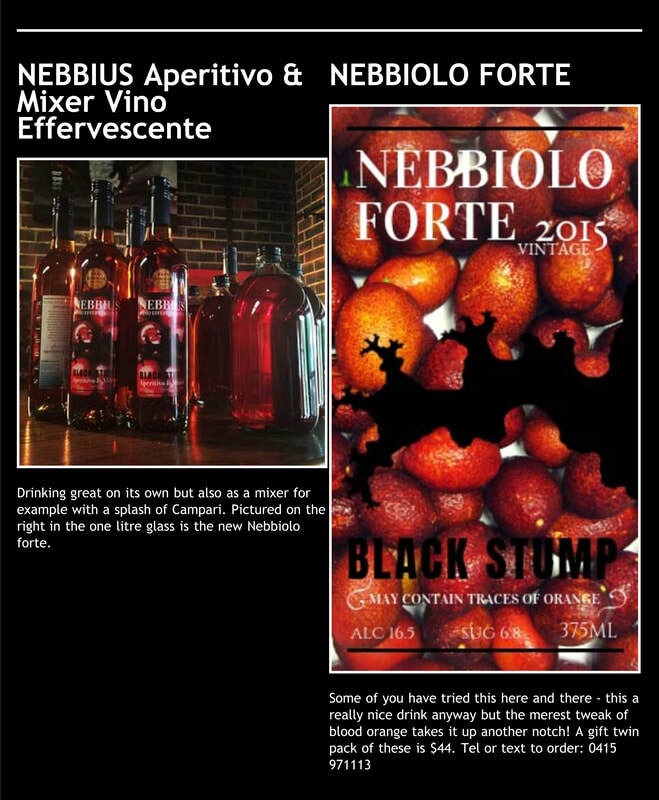 Black Stump Wines latest news, views and events. $216 Per Dozen with some payment and other discounts available. $20 Coupon or Voucher with every minimum one dozen purchase. Over the last few weeks at a couple of trade events many people have been asking about Sparkling Wine. Luckily I'd met a vineyard owner at a wine tasting in Victor Harbor way back in January and I thought his sparkling was pretty good. I bought a few bottles. Having road tested the two of them again recently I'm really happy to put these them forward - there's a lot of enjoyment here. Here there are two really drinkable quality offerings from Mount Jagged on the Southern Fleurieu Peninsula. I'm a fan of this area. It's a little cooler heading south towards the Southern Ocean but the grapes still get plenty of ripening. These wines are excellent quality and represent good value for the purchaser and be assured that smaller producers much appreciate the orders that come through. This offer closes on Saturday but get your order in for the most timely delivery or pick-up arrangements. Enjoy! Oh, and don't forget a $20 Coupon or Gift Voucher for the Black Stump online store will be sent to you as soon as you submit an order. Look out for a few more suggestions coming up on the weekend! 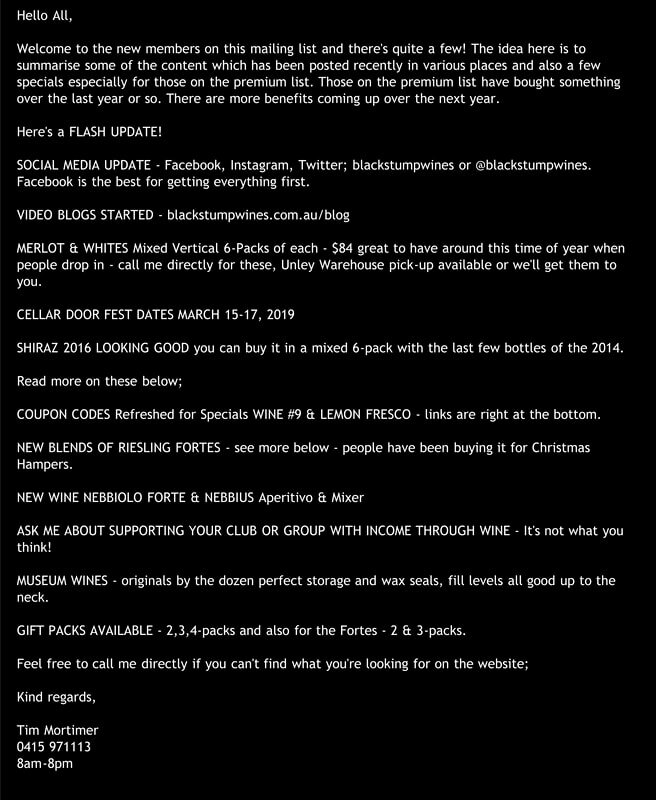 For those who don't mind getting some of their wine content by email as well as social media, I've included an excerpt below from last weekend's email update. If this looks interesting to you, you may SUBSCRIBE from the main menu. The other benefits to subscribing are a few specials from time to time especially to premium members, and first bite at the cherry at any releases from the cellar where sometimes only a few dozen might be available. There will be more of this going on over the next twelve months. The facebook page @blackstumpwines is a pretty good place to get any new content first so I always encourage people to like or follow that page with a 'see first'. The same handle applies for Instagram or Twitter. I look forward to seeing you on board one or more of these! A Somewhat Exotic After Work Drink to Add to the Repertoire. The most recent of these posts are similar to those being sent to Subscribers. This blog is also posted to facebook and twitter.